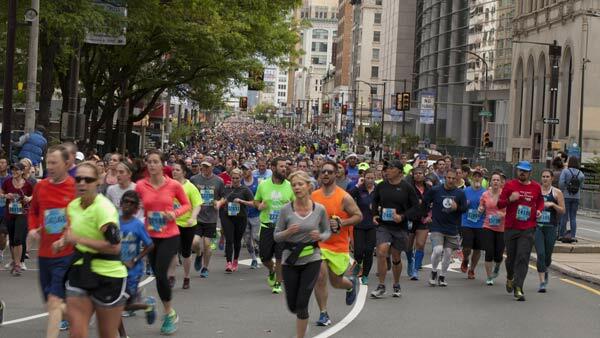 PHILADELPHIA (WPVI) -- Road closures are in effect due to Sunday's Broad Street Run. At 4 a.m., Broad Street between Olney and Windrim avenues was shut down. At 7 a.m., Broad Street from Windrim Avenue south to Erie was closed. The remainder of the route will be closed at 7:30 a.m. The Broad Street Run begins at 8 a.m. The city says as fast as the street sweepers come through, the route will be reopened. All of Broad Street should be reopened by 11:30 a.m., with the exception of some areas in the Navy Yard. The city says police will be assigned to the detours around the run route to assist motorists. Drivers should expect delays in the area of the run.